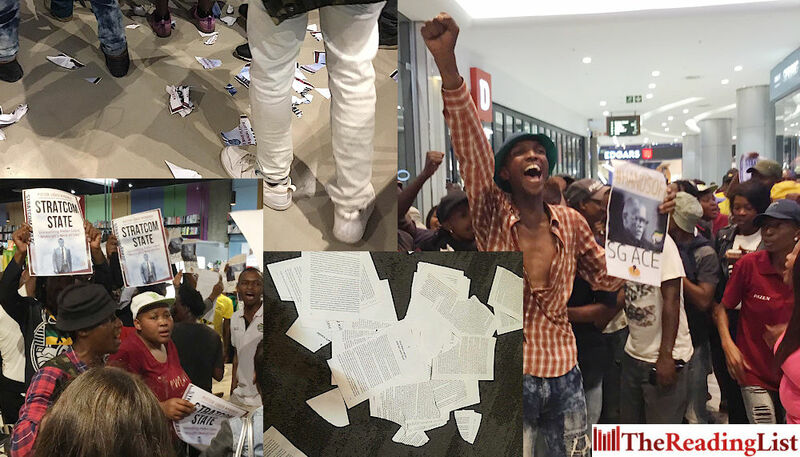 The protesters ripped up copies of the book and chanted ‘Ace, Ace, Ace’, referring to ANC Secretary-General Ace Magashule, who the book implicates in state capture and looting in the Free State government. It is not known which group the protesters represented, although some were wearing ANC T-shirts. The book launch was ultimately cancelled and the store closed. The African National Congress (ANC) distances itself from the disruption of the launch of the book, Gangster State, on Tuesday evening in Sandton. The ANC condemns the disruption and the call to burn books in the strongest possible terms. We wish to emphasise that those who disrupted the launch did not do so in the name of the ANC nor on behalf of the ANC Secretary General. We view the actions of these individuals in a very serious light as it undermines freedom of speech. Our constitutional democracy enjoins us to defend every citizen’s right to freedom of speech irrespective of whether we agree with the contents or not. #AceMagashule #GangsterState @Pieter-Louis Myburgh Chaos and protest continues. Altercation with Exclusive Books CEO Grattan Kirk. Singing and chanting continues. #AceMagashule #GangsterState @PLMyburgh. Copies of the book being rippied and pages thrown around. Security escorts protestors out of @ExclusiveBooks Sandton City.